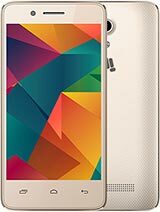 guys a56 is vry gud ph.m using it.it can play hd games vry easily.flash is there,so dnt worry.it has proximity too.looks n screen quality is awesome.just go 4 it.its like any 10000 rs ph. Yeah,it supports the latest adobe flash player. Can a56 support adob fash player ? DUDE, 27 Jul 2012I have heard about that above 6mb size games are not working in this phone.. so pls tell me i... moreThis issue will be there with all the devices with less internal memory. Please change the default install location to SD card to solve this using ADB Shell. D, 24 Jul 2012Is any one having a problem where Micromax a56 just randomly shuts down?? mine just keep doing... moreCheck whether you have enough internal memory left. If not uninstall all the apps which have been installed in phone memory, and if you want install it in SD Card. You can use APP 2 SD for this purpose. You can change the install location to SD card permanently using the ADB shell to SD card so that you wont have this issue again in future. What about the video recording resolution ? Does it supports HD Video recording? Vry vry nice phone . 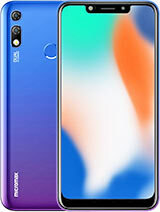 i'll recommend idea id 918 which is better than this and its also dual sim and unlocked can be used with any network sim card and it is from better co. alcatel lucent. 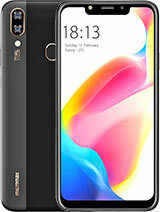 and also cheaper than this phone with better specs and rooting and custom roms for idea id 918 is available easily on internet as it used all over the world. AKV, 29 Jul 2012Hey dude! what u have heard is wrong...... games above 6mb are working fine and smoothly. I ... moreDoes it plays 720p videos? anitha, 22 Jul 2012My friend is using this phone, its good, but not great. I want to buy an android phone between... moreWhat hv u decided ? KRBN A5 or MMAX A56 ? Got any idea from others? Me too confused. Anybody hv any idea? Plz help. 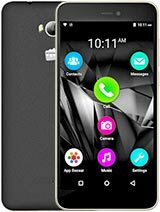 amazing phone.. i would say this is d phone i was waiting for at such an affordable price... nice gps functionality with wifi hotspot facility. touch is amazing ally smooth. 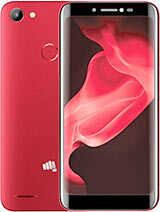 if you want to hold entire world in ur palm then go n grab this phone as m using this since the day it was launched. is the phone memory good enough? Please anyone tell me. Does it plays 720p videos? I purchased this fone yesterday..its a good fone..but the ram is low so u cant do heavy multitasking on it. You get very low free RAM on this.I'm still in wonder how it can play games like below mentioned. Nenamark1 results got 48fps. Quadrant scores are abt 1100(it can vary).On the way to test with Antutu Benchmark. Camera is a CRAP.!!! Doesn't even equals the 2MP of Galaxy Y. Run like Hell Yeti Edition(19mb), Angry Birds Space(24mb), Highway Rider(25mb), Turbo Fly(5mb), Trailx Winter(47mb), Retun Zero(6mb) U can find some glitches in the gameplay sometimes. Small Games like 10-15mb works perfect. Temple Run Doesn't Works.720p Videos Doesn't run even after installing the MX player. vjn, 22 Jul 2012witch camera is clarity celkona95 or micromaxa56celkon is a chinese company..
awesome phone...supports huge number of apps with excellent graphics...design is very good..undoubtedly the best smartphone in its category...only one minus point-it does not have front camera..so video call can't be done.